Lots of people these days want to be able to record their phone screens. Weather it be to make gaming videos for YouTube, or just to share things with friends, it’s something that a lot of people are always asking how to do. 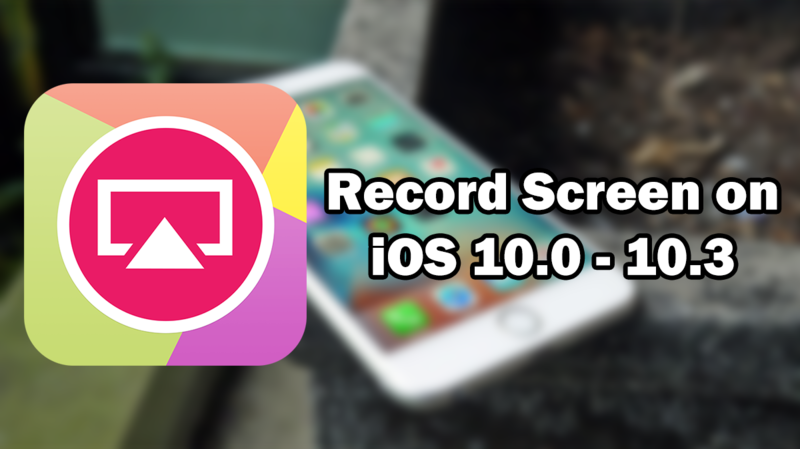 There are lots of ways to record your iOS device’s screen. Some methods involve a computer, and others do not. One of the more popular and easy methods of recording your screen these days is an app called AirShou. AirShou is a pretty cool app that can be installed on all iOS devices, even if you are not jailbroken. It can be used to not only record your devices screen, but also stream it to Shou.TV (which is basically Twitch for mobile games). Recorded footage can be easily transferred to another device or uploaded online, making it extremely easy to share. For a long time apps like this were only available to people with jailbroken devices, however in recent years is has become possible to install these apps without the need of a jailbreak. These methods can be a little temperamental so new websites are always showing up with the ability to install them. Navigate to this page on your iOS device (must be with Safari). Tap on the button of the top of the page labeled ‘Regular’. This should show a green ‘Download Now’ button. Tap on this download button. You should get a pop-up asking you if you want to install the Tutu Helper app on your device. Tap on the ‘Install’ button, and the app should begin to install on your device like a normal app store application. Tap one of the menus within this page until you find the one containing TutuHelper. Tap ‘Trust’ twice and the app will become trusted. Open the TutuHelper app, swipe to the right a couple times, then tap the ‘Start Now’ button to go to the main menu. At the top of the app there should be a search bar. Tap on this and type ‘AirShou’ into it. Once you have typed it, tap on the ‘Search’ button on the keyboard. The first option should be the official AirShou application. Tap on this to load the install page for the AirShou application. Once the pages loads, tap the green ‘Get It Free’ button at the bottom of the page (if there is an advert blocking it just tap on the X button above it). The app should now begin to download within the TutuHelper app. When the app finishes downloading, you should get a pop-up asking if you want to install the app. Tap on ‘Install’. It should now begin installing like a normal app store app. Tap one of the menus within this page until you find the one containing AirShou. Tap ‘Trust’ twice and the app will become trusted. You should now be able to open and use AirShou on your iPhone, iPod touch or iPad. Once you open the app, you will be greeted with two options. One will say Broadcast, and the other will say Record. Tap on the Record button. In here you should see options to set a name, orientation, and video resolution. Choose the options you want and then tap the Next Step button. To begin recording, swipe up from the bottom of your device to reveal control centre. Tap on the AirPlay button to show available options. In this menu, selected the one named AirShou. Once you do this, the video should begin to record. To end the recording, open the AirShou app again and tap the STOP button. Nice App, thanks for the sharing. Currently, I’m using a desktop app call Acethinker iPhone screen recorder that mirrors my iPhone screen to the computer and use its screen recording function to make videos. It’s not that direct, but it works. Share it here as an alternative method. When I opened up Airshou, I was greeted with a page that said Log in the shou.tv.